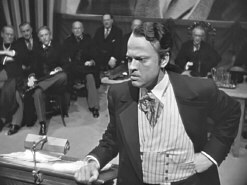 Orson Welles' timeless masterwork (#1 in the American Film Institute's 1998 list of Best American Movies) is more than a groundbreaking film. Presented here in a magnificent 60th anniversary digital transfer with revitalized digital audio from the highest quality surviving elements (Disc One), it is also grand entertainment, sharply acted (starting many of Welles' Mercury Players on the road to thriving film careers) and superbly directed with inspired visual flair. Depicting the controversial life of an influential publishing tycoon, this Best Original Screenplay Academy Award® winner (1941) is rooted in themes of power, corruption, vanity -- the American Dream lost in the mystery of a dying man's last word: "Rosebud." 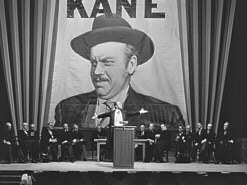 "A two-hour tornado of a documentary" (Time) nominated for the 1995 Best Documentary Oscar®, The Battle Over Citizen Kane (Disc Two) chronicles the titanic clash between Welles, RKO Studios and publishing magnate William Randolph Hearst, whose life and accomplishments reportedly inspired Citizen Kane. Narrated by Richard Ben Cramer. Awards: Won for Best Screenplay. Nominated for Best Picture; Best Director; Best Actor-Orson Welles; Best Cinematography; Best Art Direction-Set Decoration; Best Film Editing; Best Sound; Best Score-Bernard Herrmann. DVD: 2-Disc set; standard 1.33:1; audio English Monaural; subtitles English, French, Spanish, Portuguese; closed-captioned; single sided - double layered; 31 chapters; Not Rated; 119 minutes; $29.98; 9/25/01. Supplements: Audio Commentary by Film Critic Roger Ebert; Audio Commentary by Director/Welles Biographer Peter Bogdanovich; “The Battle Over Citizen Kane” Documentary; 1941 Movie Premiere Newsreel; Gallery of Storyboards, Rare Photos, Alternate Ad Campaigns, Studio Correspondence, Call Sheets and Other Memorabilia; Theatrical Trailer; Production Notes; Filmmaker Postscripts and Awards Data. September 25, 2001 marks a dark day for Internet whiners everywhere. In the past, we frequently heard indignant cries along the lines of “Why can I get Insert Title of Crummy Movie Here on DVD but not Citizen Kane? !” Of course, these complaints used incredibly specious logic; they operated from the principle that the DVD existence of Crummy Movie X prevented the release of Citizen Kane, but they popped up from time to time nonetheless. Unfortunately for these folks, they must move on to something else, for we now have a DVD release of Citizen Kane. As a critic, I’m left with little to say about Kane. 60 years after its initial release, this film has earned more accolades than perhaps any other movie in history, and it scored the number one spot on the AFI Top 100 list. It’s a tough flick to review; if I like it, then I just echo oft-stated comments, while if I don’t care for it, I look like a total buffoon. Well, that wouldn’t be the first time, and it wouldn’t be the last. Will I go onto the critical ledge and relate negative comments about Kane or will I reinforce the critical acclaim? Read on to discover the results - I’m kinda curious to know myself! Kane offers a fictionalized biography of media magnate William Randolph Hearst. 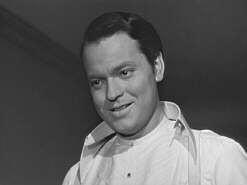 Director/writer Orson Welles plays Charles Foster Kane, a man who inherits a terrific fortune and proceeds to fuel his various interests through that money. Mainly he works on newspapers; starting with the foundering “New York Inquirer”, he turns the dailies into sensationalistic affairs that achieve success across the US. Kane also purchases European art - especially statues - with a voracious appetite, and he builds an extremely large and elaborate mansion compound called “Xanadu”. Despite his loose spending and endeavors, Kane remains ill at ease with himself, and many efforts fail. 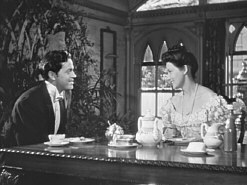 He marries and divorces two different women, the second of whom - Susan Alexander (Dorothy Comingore) - he pushes to become a famous opera singer. Despite his prodigious financial resources, he can’t give her talent, so she flops and he eventually forces both of them to retreat to the solitude of Xanadu. Kane also runs for governor, another attempt that bombs due to his affair with Susan. Although Kane seemed assured of victory, the competition discovers his relationship with Susan. Once that becomes public, both Kane’s political campaign and his marriage to Emily Norton (Ruth Warrick) quickly die. Kane is set up as something of a mystery. 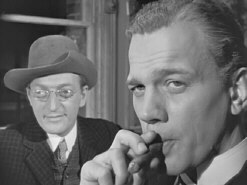 A reporter named Thompson (William Alland) tries to discover the meaning of Kane’s last utterance, “Rosebud”. In that attempt, he goes through records and chats with surviving associates such as Susan and long-time cronies Jed Leland (Joseph Cotton) and Bernstein (Everett Sloane). None of this helps him discover the meaning of “Rosebud”, but a picture of the man begins to emerge, albeit one that seems semi-contradictory based on the perspective at work. Kane makes no attempt to provide a coherent narrative or a concise biography; instead, it’s more of an experiential work that depends on the current viewpoint of the interview subject. For anyone who might not know the significance of “Rosebud”, I won’t divulge it here. However, I must disagree with those who regard it as a “MacGuffin”. Popularized by Hitchcock, that term describes something that seems to be a key to the story but which really has little or nothing to do with the tale. For example, the stolen money in Psycho was a MacGuffin, as was the mysterious briefcase in Pulp Fiction. I felt that Rosebud really did offer a key to the story, however, due to its symbolic value. Throughout the film, we see that Kane constantly strives for some unattainable goal. He runs newspapers and tries to be a champion of the people, he campaigns for governor, he pursues women, he purchases millions of dollars of art and other artifacts, but absolutely none of it makes him happy. All he wants is love, affection that he lost when his mother (Agnes Moorehead) sent him away from home as a child. Rosebud represents that vanished childhood and the love he can’t seem to regain, no matter how hard he tries to force it. Hmm… before I wrote this review, I promised myself that I wouldn’t engage in any attempts to delve into the meaning of Kane. Over the last 60 years, critics much more knowledgeable and insightful than I have done so, and I probably have little to add to their work. As such, I felt my time would be better spent with a discussion of what I did and didn’t like about Citizen Kane. At this point in time, I think that Kane maintains its legacy as a classic more as an example of technical brilliance than as something people genuinely enjoy. That doesn’t mean I feel that no one loves it, and that also doesn’t signify that I didn’t care for the film. Actually, I thought it was a fairly compelling and involving effort. What I do mean is that Kane feels more like a flick that garners respect instead of adoration. The technical virtuosity can’t be denied, as Kane is a stunningly self-assured and vivid visual affair. The manner in which Welles welded together disparate elements also worked exceedingly well, and he displayed fantastic control of auditory components as well; sounds often added something of a Greek chorus to the proceedings, and they helped ensure smooth and effective transitions between scenes. Where I think some people encounter trouble relates to the chilliness of the film. This isn’t a movie to be joyfully embraced, but nor is it a work that evokes strong negative emotions. Kane stays strangely neutral to a degree, and it never lets us feel very close to its subject. Was that intentional? Almost certainly; I’m sure Welles wanted to maintain a distance between the audience and the man, especially since we’d hear so many divergent viewpoints. This was the correct path for the film to take, but it wasn’t one that would allow many people to think of the movie as something to be enjoyed. Of course, not every flick needs to be delightful or funny or scary or thrilling, and Kane worked well as a somewhat abstract, purposefully disjointed picture of a man. Actually, that latter aspect of the film made sense since it helps describe the complexity of Kane himself. Although I thought his general nature was explained by his simple desire for the love and belonging he lost as a child, I won’t state that this notion sums up the entire film, and Kane certainly showed a variety of contradictory attitudes, as do all of us. The erratic nature and tone of Kane displayed this concept well; while the movie had the potential to be a mess, Welles held it together cleanly and created a movie that flip-flopped from era to era and topic to topic but maintained a remarkable level of coherence nonetheless. Hmm… as I started to write this review, I felt as though I liked Kane but not in an enthusiastic manner. However, while I’ve tried to organize and explain my thoughts, I’ve begun to realize how good a movie it really is. Some have accused Kane as being more flash than substance, but I don’t agree with that; if this was true, I wouldn’t feel as mentally involved in it as I do. Usually when I review a movie, my negative opinions rise to the surface; the more I consider a flick, the more likely I am to discover its flaws. 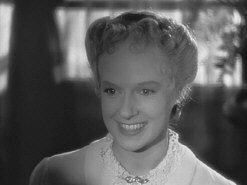 Citizen Kane appears in an aspect ratio of 1.33:1 on this single-sided, double-layered DVD; due to those dimensions, the image has not been enhanced for 16X9 televisions. For the most part, Kane offered an absolutely stellar picture, but a few minor concerns kept it from absolute greatness. Sharpness almost always appeared nicely crisp and detailed. A few wider shots looked slightly soft, but these were quite rare. As a whole, the image seemed to be distinct and accurate, with fine definition. A few moiré effects cropped up along the way, but these seemed minor. Unfortunately, a more significant concern appeared via edge enhancement. A number of scenes showed halos, and these could be rather distracting at times. For example, check out the scene in which young Kane was sent from home; it offered some pronounced "enhancement". Frankly, the edge enhancement was the picture’s most glaring concern, mainly because it was the only one that didn’t result from the original materials; it was an unnecessary alteration to the source that detracted from the presentation. Print flaws looked almost miraculously absent. Really, the only time I saw them occurred during the “March of Time” newsreel viewed at the start of the film, and those instances appeared to be intentional. I thought these defects were oddly inconsistent; they seemed very heavy in some scenes but they were pretty much absent in others, which made me wonder how much of them were intentional and how many had cropped up over the years. Nonetheless, all segments that didn’t use newsreel footage were gloriously clean. A speck or two might have cropped up during the movie, but source defects remained exceedingly minor. Honestly, for all intents and purposes, this was a film that appeared free of flaws. It’d look good for a recent flick, but for a 60-year-old motion picture, the absence of concerns was genuinely amazing. Black levels generally looked nicely deep and rich, and contrast usually was clean and distinct. At times, I thought the differentiation between light and dark looked a little weak, but those instances were rare, as the majority of the movie showed well-defined blacks and whites. Shadow detail also looked slightly thick at times, as some of the low-light sequences came across as mildly dim. However, those examples were also rare; most of the movie displayed nicely clear and accurate sequences. 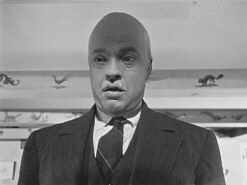 I strongly debated the grade I would give to the picture of Citizen Kane. For a 60-year-old movie, it looked absolutely wonderful, and one could easily argue that it merited an “A-“ or even higher. However, I felt more comfortable with a “B+” mainly due to the edge enhancement. I could accept some of the mild softness and slight issues in regard to the blacks, but the edge enhancement was a totally unnecessary intrusion on the image. 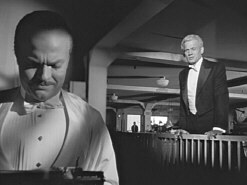 Citizen Kane would have been reference quality for an older flick without that issue. Nonetheless, it remains an absolutely amazing transfer. The monaural soundtrack of Citizen Kane hasn’t held up as well as the picture, but it still seemed pretty solid for its age. Dialogue sounded reasonably distinct and accurate, but much of the speech came across as somewhat brittle and edgy. I encountered no problems related to intelligibility, but the lines could sound a little shrill at times. Otherwise, the mix seemed to be fairly clear and relatively robust for the era. Music and effects sounded reasonably lively and bright, and they showed pretty nice depth considering their age. The track lacked any discernible background noise; it seemed wonderfully clean, as I detected no popping, hiss, crackling or other issues. Ultimately, the audio appeared to be quite solid and represented the material well. Considering the stature of Citizen Kane, one should anticipate a solid special edition DVD, and Warner Bros. matched up to those expectations nicely with this two-disc set. On DVD One, the package highlights two separate audio commentaries, both of which come from prominent sources. First we find a track from film critic Roger Ebert, who provides a running, fairly screen-specific piece. At times Ebert tended to repeat himself, which he recognized; for example, he frequently told us about the technique in which the observer of each sequence sat in the lower right corner of the frame. Despite some redundant information, Ebert’s obvious enthusiasm for the subject helped make the piece vivid, and he added a lot of solid interpretation and insight for those of us relatively new to the details of the film. Ebert mixed technical details with background information and his thoughts about the techniques. It wasn’t the most illuminating track I’ve heard, but it helped flesh out the movie for me and I enjoyed the experience. I did note one curious aspect of the Ebert commentary, though. At times he espoused the notion that Rosebud was nothing more than a gimmick and a red herring, but on other occasions he seemed to concur with the notion that Rosebud represented Kane’s lost childhood, and he appeared to go along with the same thoughts I mentioned earlier. In any case, I’m sticking with my own interpretation, darn it! In addition, we get a second audio commentary from director (The Last Picture Show) and Welles biographer Peter Bogdanovich. He also added a running, screen-specific piece, but I thought it was less compelling than the effort provided by Ebert. I can’t blame Bogdanovich totally for the decline, as some of my disenchantment occurred due to the order in which I listed to the two tracks. Bogdanovich echoed many of the same remarks offered by Ebert, but this redundancy could have worked in the opposite direction had I screened the Ebert commentary initially. Bogdanovich also tended to simply describe the onscreen action to a certain degree; some directorial insight occurred, but not a tremendous amount. However, Bogdanovich was able to inject some good information, mainly via anecdotes that related to his discussions with Welles. This contributed greater depth to the subject and brought some intimacy to the subject. Bogdanovich inserts some insight not found during Ebert’s track, though I thought Roger’s was superior in that regard. Ebert also filled his time better, as Bogdanovich’s piece suffered from a few too many blank spots, and a modicum of his statements seemed obvious descriptions of the action on screen. Nonetheless, this was a fairly interesting commentary, as Bogdanovich added enough good information to make the track worth a listen. Interestingly, unlike Ebert, Bogdanovich doesn’t think that Kane was the best movie ever made, or even Welles’ greatest film. At one point he discusses this subject. Unfortunately, he doesn’t go into depth about the flicks he thinks top Kane, but I thought this was a very interesting revelation, especially since it goes against the common opinion. While the two commentaries provide DVD One’s most significant extras, we also discover a number of minor pieces. Cast and Crew simply lists some participants; no additional information about them appears. The New York Premiere Footage showed a 65-second newsreel clip from that event. Unfortunately, all we see are some plain shots from the theater and we hear no commentary about the action. Also, the actual premiere footage only fills the second half of the brief piece, so it’s not very valuable. Much more interesting was the film’s theatrical trailer. This three-minute and 45-second ad featured material created exclusively for the promo, and it’s very entertaining. Welles remained off-camera but narrated the piece and made it wonderfully snide and mocking. I thought it was a clever and provocative trailer. A slew of text and stillframe materials make up the rest of the DVD’s extras. These are split into three areas: “The Production”, “Post Production”, and “Production Notes”. “The Production” includes three subsections. “Storyboards” consists of 24 frames of information. In addition to some boards - which depict the scene in which we go from Kane’s political campaign to the confrontation at Susan’s apartment - we see some production art and shots from the film. These were interesting to see, though they didn’t reveal a great deal of nuance about the production. “Call Sheets” takes up five frames. These are modestly useful historical pieces, as they show some day-to-day details of the production. More interesting are the images in the “Still Gallery”. Actually, those photos are nothing special, but they’re rendered more compelling because they come with commentary from Roger Ebert. All of these stillframe archives can be viewed either picture-by-picture or as running video pieces, but only the “Still Gallery” comes with audio accompaniment. Ebert adds a decent overview of the production and some thoughts about the movie. The photos only last for the first five and a half minutes of the program; Ebert’s remarks continue for an additional five minutes and 25 seconds. “Post Production” includes four subsections. “Deleted Scenes” contains eight screens. These give us a little information about two sequences that didn’t make the film. “Ad Campaigns” gives us 11 screens of posters and other materials. Most interesting is a note that discusses the reactions to Kane of various demographics. “Press Book” tosses in five images from a program offered at the film’s New York and Los Angeles premieres, while “Opening Night” adds 11 frames that also related to the premiere and other areas. Most compelling in that section were some fan letters that praised the flick, notes from RKO president George Schaefer, and a premiere-related guest list. This section was one of the most compelling of the bunch. Lastly, “Production Notes” provides text about the movie. “In the Beginning” discusses the film’s origins, while “On the Set” adds details from the production itself. “Postscripts” follows some of the participants in their careers after Kane, while “Awards and Honors” lists those accolades. All told, these four sections include 30 screens of material, though as you’ll see in the following paragraphs, one of the frames has something extra. Finally, DVD One includes some Easter Eggs. 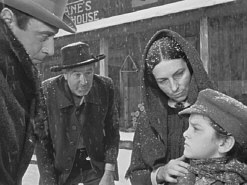 If you click on the sled seen on the “Special Features” screen, you’ll find a 1997 interview with actress Ruth Warrick. During this five minute and 40 second piece, Warrick discusses issues such as the atmosphere on the Kane set, her interactions with Welles, and a few other interesting topics. It’s a neat little addition, and one that is easily enough located to keep its “Easter Egg” status from becoming obnoxious. More hidden is the second egg, which popped up during the “On the Set” subsection of the “Production Notes”. On the eleventh screen, another sled appears, and if you click on it, you’ll find a 1994 interview snippet with editor Robert Wise. During this three-minute piece, Wise reveals how he got the job, and he also talks about the uproar that greeted its take on Hearst. It’s also a minor addition, but it’s fun to get. DVD Two provides only one significant extra, but it’s a fairly interesting one. 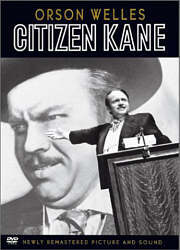 1995’s The Battle Over Citizen Kane is a 113-minute documentary that examines the controversy encountered by the flick. Subtitled in English, the film includes interviews with a myriad of folks. In addition to 1982 footage with Orson Welles, we hear comments from Kane participants editor Robert Wise plus actors Ruth Warrick and William Alland. 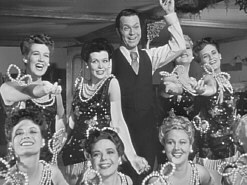 In addition, the show includes Bogdanovich, Hearst biographer David Nasaw, actors Douglas Fairbanks, Jr., Thomas Anderson, William Herz, and Norman Lloyd, Macbeth choral director Leonard DePaul, set designer Sam Leve, writer Richard France, Frank Mankiewicz (the son of screenwriter Herman), newspaper men Jimmy Breslin and Vern Whaley, witnesses to the War of the Worlds debacle Louetta Santucci and Gloria Widelock, and historians John Tebbel and Nancy Loe. Richard Ben Cramer narrates the package, which appeared as part of the PBS series “The American Experience”. If you want to learn a great deal of information about the making of Kane, you’ll leave “Battle” disappointed. In fact, very little of the documentary discusses the film itself. Most of the program consists of parallel biographies of Hearst and Welles; the documentary intercut between the lives of these two men; we briefly learn about Marion Davies - the partial inspiration for Kane’s Susan Alexander - as well. These progress in chronological order, so by the time we reach the production of Kane, the program is much more than half finished. Even when we get to the movie, we find out very little about it. The filmmaking process is covered quickly, and we then learn more about the reactions it engendered, especially as Hearst tried to suppress its release. However, those aspects of the show were also fairly minor; for the most part, “Battle” acts as a general biography of the two men central to Kane. In that regard, I found much to enjoy about “Battle”. It was interesting to learn the ways in which Kane mirrored Hearst’s life and how it presented aspects of Welles’ own history. It was also good to get a quick overview of their lives so we could better understand the men they were by 1941 when Kane appeared. However, the show felt excessively ambitious. It tried to pack in biographies of two legendary men and a successful woman, the making of an exceedingly famous film, and the controversy that surrounded that flick. Any one of these topics could have filled an entire two-hour piece; to cram all of them into that time frame meant many sacrifices needed to be made, and the overall result seemed superficial. That didn’t mean that I didn’t find the material to be valuable, as some background beats none. However, I thought that “Battle” failed to achieve most of its goals, and its broad overview philosophy made it less satisfying than it could have been. I liked much of the program and felt it added to my knowledge and understanding of Kane, but it came across as an hors d’oeuvre; it left me intrigued but hungry for something more substantial. Amusingly, the show appears just as it did when broadcast on PBS. That means we find all the same ads - such as the ones for Scott’s lawn care - and other materials that accompanied its airing. Hey, this is a good thing, for we learn how to order a videotape of “Battle” for only $29.95! A few very minor bits complete the second DVD. We find an Orson Welles filmography, a Weblink to the official “Battle” site, “Other DVDs of Interest” - a listing of additional programs offered by WGBH - and “Request a Catalog”, another way to buy more WGBH product. “Battle” originally hit DVD on its own in the fall of 2000, and this disc exactly replicates that one; Warner Bros. clearly just took the same master and slapped it onto their own package, as nothing has been changed between the two. 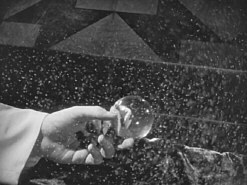 Possibly the most praised film in history, Citizen Kane remains a solid flick 60 years after its initial release. The movie has aged quite well, and its stylistic techniques seem slick and compelling to this day. Kane opens up neatly through repeated viewings and reveals additional layers, just like a great film should. I can’t argue it’s the best movie ever made, but I won’t quibble much with that assessment. As for the DVD, it isn’t a total triumph, but it certainly seems strong as a whole. Picture quality looks remarkable for the most part, though it suffers from some minor edge enhancement, while sound quality is flat but very good for the age of the film. The DVD’s extras add a lot of depth to the package; they don’t provide a complete discussion of the flick, but they create a nice level of information. 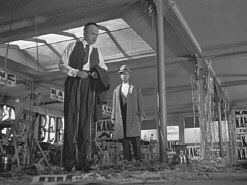 Overall, Citizen Kane is an excellent DVD that belongs in virtually every collection.